LOS ALAMOS, N.M. -- An unknown blast shook the desolate New Mexico desert on July 16, 1945, unsettling the historic Hispanic village of Tularosa. Most residents lacked phones and radios, so they relaxed when Army officials said it was just an ammunition explosion - despite the raining ash. They didn't learn scientists from the then-secret city of Los Alamos successfully detonated the first atomic bomb at the nearby Trinity Site until after the U.S. announced it had dropped the weapon on Japan a month later, helping end World War II. 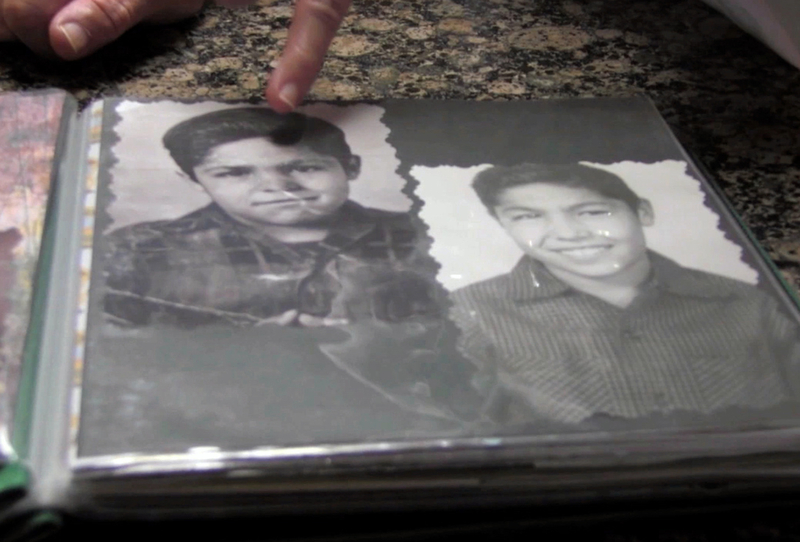 "It was a source of pride," Tina Cordova, a former Tularosa resident whose father was 3 years old during the Trinity Test. It became a source of anger after many residents developed cancer and blamed it for their health problems. Thursday marks the 70th anniversary of the test that took place as part of the Manhattan Project, the secretive World War II program that provided enriched uranium for the atomic bomb. While the state holds commemorative events, Tularosa residents press for acknowledgement and compensation from the U.S. government. Cordova, co-founder of the Tularosa Basin Downwinders, said the aftermath caused rare forms of cancer for many of the 30,000 people living in the area. Residents weren't told about the dangers of the test site and often picnicked there and took artifacts, including the radioactive green glass known as "trinitite," she said. Researchers from the National Cancer Institute are studying past and present cancer cases in New Mexico that might be related to the test. "It's not about anti-nuclear protests," said Cordova, a cancer survivor. "We want recognition from the U.S. government that they did this to us, that they came here and did this test. And that they walked away and left us for 70 years to deal with it on our own." Vera Burnett-Powell, a spokeswoman for the U.S. Department of Justice's Radiation Exposure Compensation Act program, did not immediately return a phone message and email from The Associated Press. Cordova's father, Anastacio "Tacho" Cordova, suffered multiple forms of cancer. He died in 2013, and she believes his illnesses were related to Trinity's aftermath. During the Manhattan Project, Los Alamos scientists worked to develop the weapon that was dropped on the Japanese cities of Hiroshima and Nagasaki. It involved three research and production facilities at Los Alamos; Oak Ridge, Tennessee; and Hanford, Washington. President Barack Obama signed federal legislation last year to preserve sites that helped with the bomb's creation. Retired physicist Duane Hughes, who gives tours at the National Museum of Nuclear Science & History in Albuquerque, said the history of the Trinity Test is important because it helped end the war and set the stage for a Cold War arms race. "I don't know if anyone thought it was a failure," said Hughes, who is scheduled to give a lecture Thursday about the Trinity Test. "It really changed the history of the world." Meanwhile, writers with the WGN America show "Manhattan" are tackling questions about Trinity for its upcoming second season. The series follows a group of Los Alamos scientists as they face moral quandaries involving the bomb. The show doesn't seek to preach but hopes to demonstrate the project's complexities, "Manhattan" creator Sam Shaw said. He didn't want to give away too many details of the upcoming season but said writers couldn't ignore the plight of residents from nearby towns like Tularosa. "Some of the aspects of that story ... still exist on the horizon for us and for this show," Shaw said. "But the story from the beginning, I think, has been as much about secrets and secrecy as it has been about a weapon."